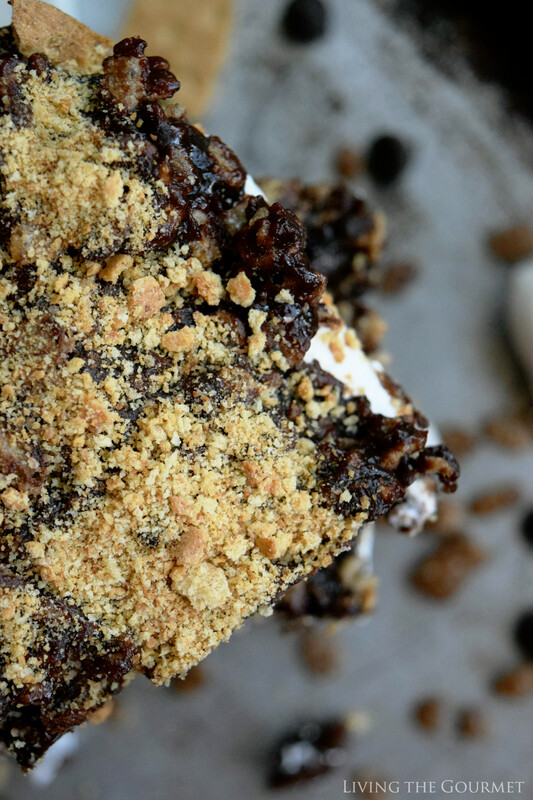 Treat yourself and your guests to these sticky, fudgy, delicious Rice Krispies Brownie S’mores this summer! First impressions are the stuff of cliché legend. Common wisdom would have you believe that if you get the ‘first impression’ wrong that the earth will stop upon its axis and be consumed by the sun…or some such calamitous misfortune. The ‘art’ of the first impression is also what keeps communications professors employed as my own collegiate experience attests. Think for a moment of ‘regular’ deja vu, that creepy premonition of some present or future event that Lovecraftian imitators would have us believe is evidence of a multiverse, or an otherworldly dimension from which a version of yourself is trying to escape or send messages from. The reverse, therefore, would be such a premonition, but from the past. In other words, the first impression of a thing is that which your subconscious latches onto, and then conjures when you are reminded of, be it a place, a person, or even, for today’s purposes, a food. Picture then your first impression of marshmallows. What comes to mind at the first mention of these delicious airy bits of sweet fluff? 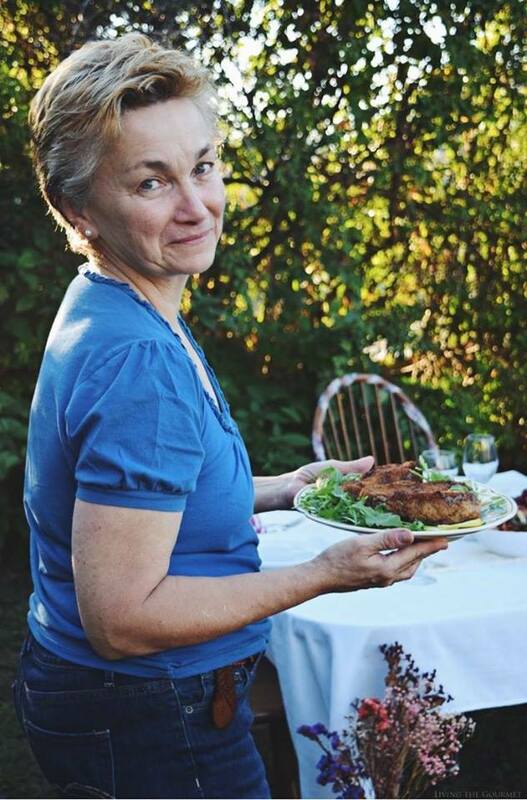 For me, I think of summer, I think of charred chunks of sugary goodness on the end of a stainless-steel spike – we aren’t quite so outdoorsy in my family that we would use sticks for this purpose, and my son is far too much a clean freak to do so anyway. However, let’s say you’re planning a summer gathering that isn’t by any means formal but is still just a tad beyond gathering around a fire? Let’s say you need a dessert that’s fun, delicious, and that will appeal to a crowd whose assorted ages runs the gamut of life’s spectrum? 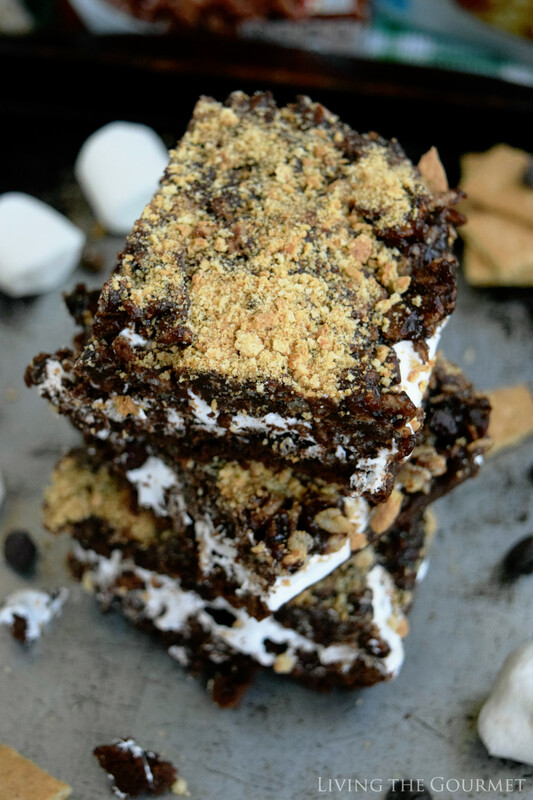 That is, of course, precisely where today’s recipe comes in – Brownie Rice Krispies Smores Bars. These are exactly what they sound like. 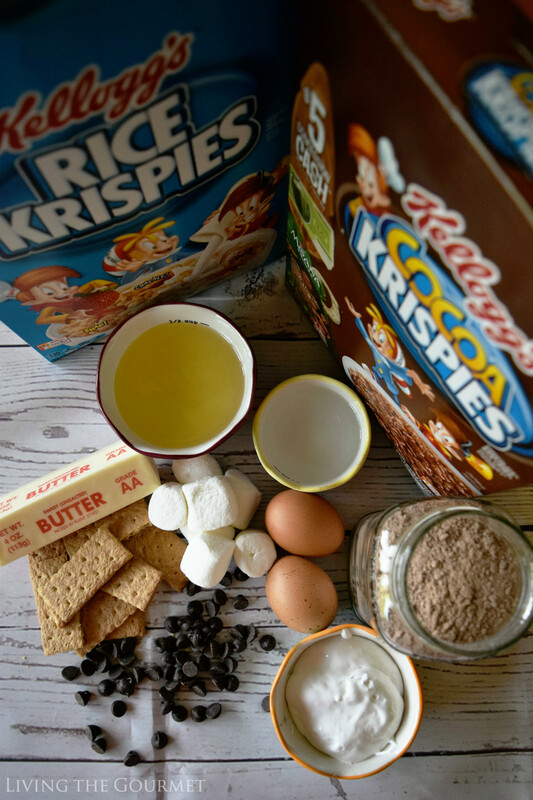 A soft, decadently fudge brown base covered with a layer of whipped marshmallow, which is in turn topped with Kellogg’s Cocoa Krispies Cereal in whipped marshmallows. Paired with a pack of Keebler Fudge Stripes Original and a tall glass of ice milk, few things can equal such summer indulgence. 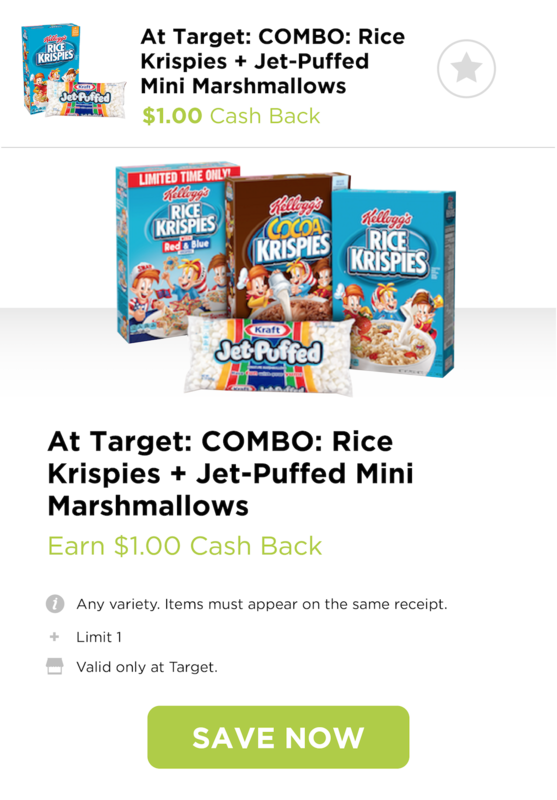 I picked up both of these during my supply run to Target, since you get $1 when you purchase Rice Krispies Cereal and Jet-Puffed Marshmallows through 5/18-7/12. 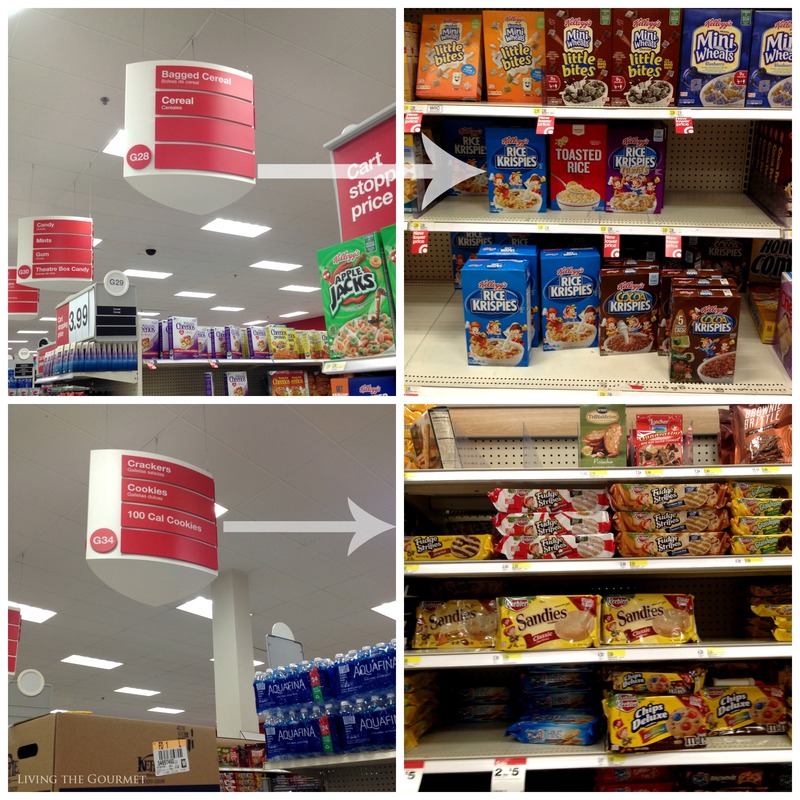 To start things off, we begin with a standard brownie mix, which we prepare as directed, with the addition of a cup of the Cocoa Krispies – which I like to keep on hand from my supply runs to Target. 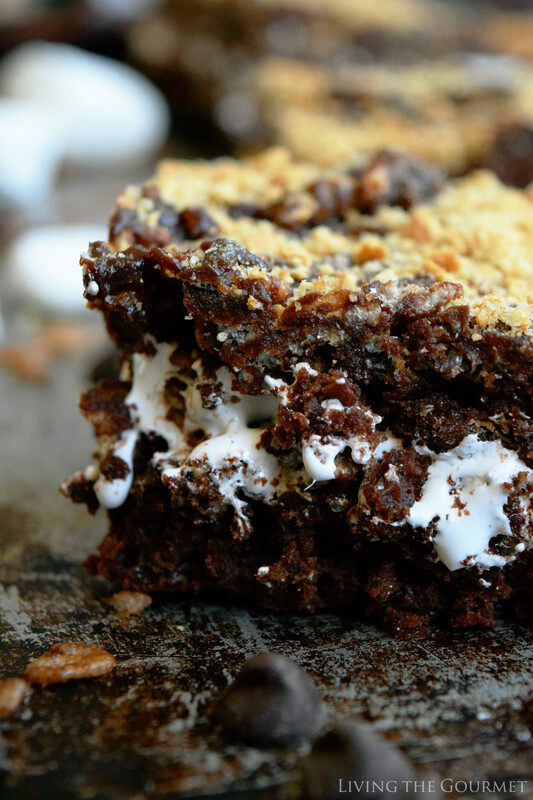 Once the brownies have cooled, spread a generous layer of marshmallow spread over them. After that’s done, we prep a large frying pan with butter as shown below, add in Jet-Puffed marshmallows and chocolate chips. 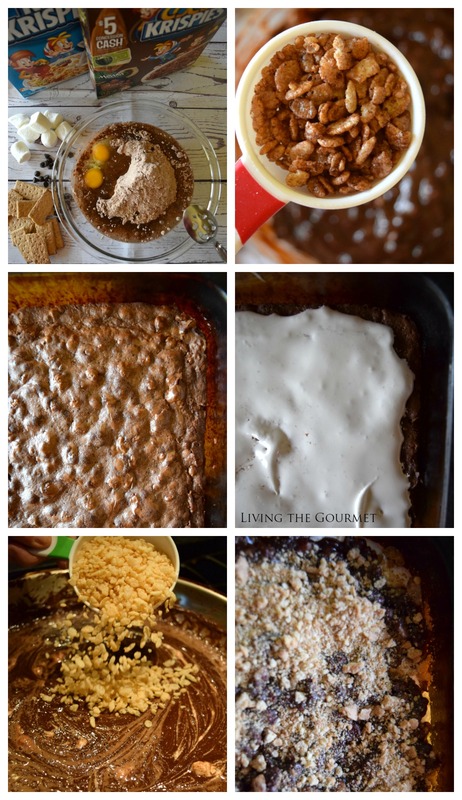 Stir until everything has melted together in a decadent mixture of sticky wonderfulness. Turn the heat off and fold in three cups of Rice Krispies. We then spread this mixture over the marshmallow layer of the brownies. We finish things off with crushed graham crackers, cover, and leave everything to set until we are ready to serve. Prepare the brownie mix as directed adding one cup of Cocoa Krispies to the batter. Bake 15 – 20 minutes or until the toothpick test comes out clean; then set aside to cool. Spread the whipped marshmallow over the cooled brownie pan. Gently heat a large frying pan with the butter. Add the chocolate chips and the marshmallows and stir continually until completely melted. Turn off the heat and add the Rice Krispies, stirring until incorporated completely into the mixture. Spread over the whipped marshmallow layer. Finish with the crushed graham crackers over the top. Cover and let set until ready to serve. What are some of your favorite summer treats? We would love to hear from you. For more great Kellogg inspiration, check out the social hub HERE! 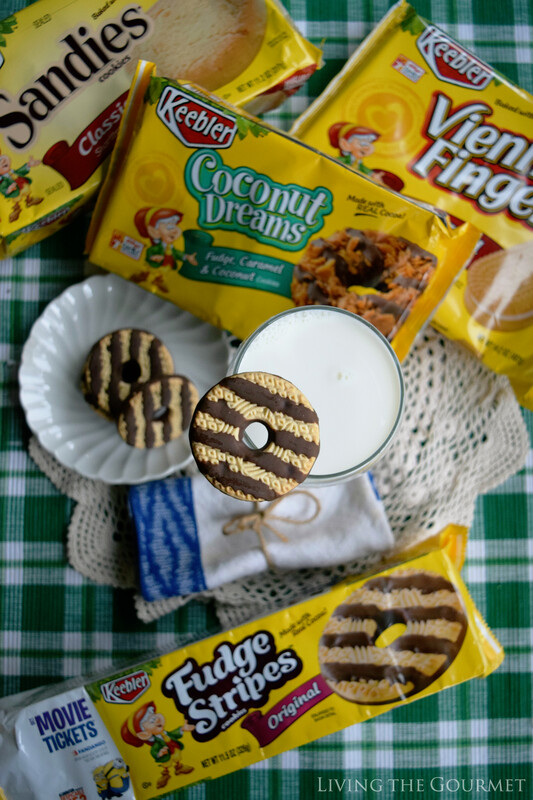 Remember that from 5/21-7/8 you save 10% on Keebler Cookies. This looks like such a sweet treat. My daughter would want to help make these, too. 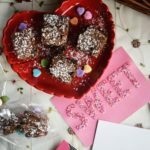 Kids will be crazy for these sugary treats! Love all the delicious layers! Definitely my prefered way to eat s'mores!!! Mmmm, Catherine! What a treat! 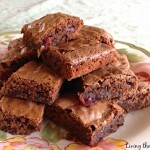 Such a decadent dessert - these look fantastic! 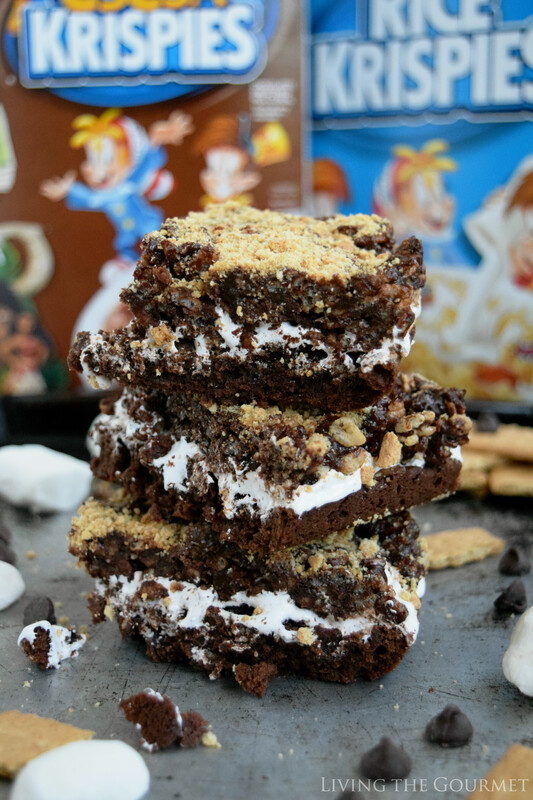 Rice Krispies + Brownies + Marshmallows. What is not to like about this? What a yummy treat. Oh my gosh, I'm drooling on my keyboard. I pinned this and must make it soon. This is perfect for Summer picnics and cookouts. Love all the layers of goodness. Gosh, that looks so yummy. Well now, how fun are these! I love the combination of flavors...no more settling for one of your favorites-have them all!!! This is OVER-THE-TOP! Not satisfied with one dessert? Try 3! Wow! Brilliant mash-up of two of the greatest desserts ever! These look so good! I would love to have a few with a cup of coffee right now! These look amazing and this recipe is genius! I am totally drooling over this! I need to try these ASAP! Thank you for sharing. Luci’s Morsels | fashion. food. frivolity. 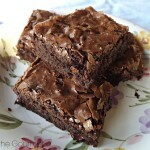 They look so decadent! Perfect for campouts, backyard bbqs, or any summer night! These look so great! I am sitting in the office and have hit the 3pm afternoon slump. Now I want one of these and a strong cup of coffee so I can soldier through the rest of the day. Yummmmooooooo! You combined all of my faves here! S'mores are EVERYTHING in the simmer! Yum. Yum! All these great flavors together it has to be delicious! What a wonderful summertime treat! These things look out of this world!! This is a great dessert for me and my family. Yum Yum Yum! Looks so vibrant and lovely! I can't WAIT to try this!